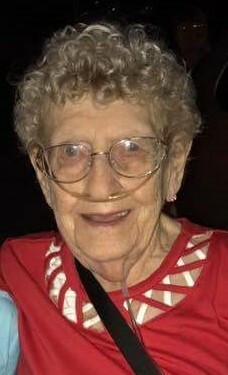 Obituary for Jean S. (Sheldon) Huntsman | Sorge Funeral Home Inc.
Jean S. Huntsman, 89, Altoona, passed away Friday morning at The Lutheran Home at Hollidaysburg. She was born in Winber, daughter of the late Samuel and Pauline (Detman) Sheldon. She married Joseph R. Huntsman and he preceded her in death on March 14, 1997. Surviving are two children: Renee S. Beach and Ronald G., both of Altoona; three grandchildren: Tamara (Matt), Christopher (Kathy) and Nicole (James); seven great-grandchildren; and one great-great-grandson. She was preceded in death by a brother, Dale; a great-grandson, C.J. ; and a daughter-in-law, Jen. Jean was a 1947 graduate of Richland High School, Johnstown. She retired in 1991 as a crossing guard for the Altoona School District. She was a member of Faith United Church of Christ in Altoona. Jean volunteered as a foster grandmother and she was on the election board for the 12th Ward in Altoona. Friends will be received from 4 to 5 p.m. Wednesday, July 25, 2018, at Sorge Funeral Home Inc., Hollidaysburg, where a memorial service will be held at 5 p.m. Wednesday.